LICENSE KEY OF THE GAME Overcooked DISPLAYED IN THE BROWSER WINDOW AND COME ON YOUR E-MAIL AUTOMATICALLY AFTER PAYMENT !!! - Culinary quest. The Onion Kingdom is a big world full of cruelty and the most unusual kitchens. In the midst of all this, you and will seek the chefs laurels. Travel from kitchen to kitchen, each time proving your professional fitness. It will be more and more difficult to do this with every level. However, such a brave cook must cope with all the challenges. - Ease of management / depth of immersion. 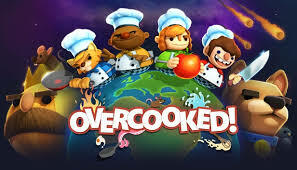 Playing Overcooked is easy and pleasant. Everyone can join the culinary fun, but only a few are destined to stand in the team when the pizza hits the fan. - Great game features. Play alone or cooperative, unlock new levels and characters. The most insane cuisine waiting for the arrival of the best chefs!